You can’t help but relax at Coteau des Prairies Lodge. The family atmosphere and the lazy drifting clouds passing over head bring a smile to your face as life’s stress makes way for a new state of mind. It’s a new adventure. Breathe in that fresh air. You’re on vacation! 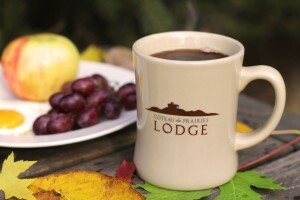 Coteau des Prairies Lodge is the perfect place for friends and family to vacation. With numerous opportunities for fun and relaxation right here at the Lodge, you can plan a great getaway with you favorite people any time of the year. Be sure to schedule a farm tour on the Breker Farm and request a catered meal featuring our exclusive 28-Day Dry Aged Breker Beef. Extend your vacation with day trips and golf outings at our area’s unique attractions.